ABSOLUTELY STUNNING, THIS TRUE 5 BEDROOM POOL HOME, WITH 4 AND 1/2 BATHS, A 3 CAR GARAGE FOR CARS AND TOYS ALL TUCKED AWAY ON OVER 2.5 ACRES IN THE COMMUNITY OF PINE TREE ACRES. 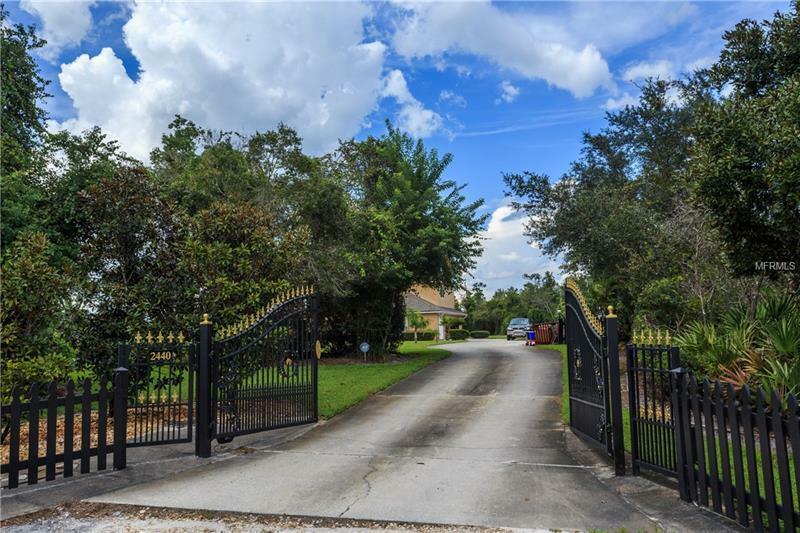 THIS PRIVATELY GATED HOME IS COUNTRY LIVING WITH CITY CONVENIENCE, JUST MINUTES TO I-4. NEWER ROOF (2013) NEWER A/C (2013) NEW HOT WATER HEATER (2017) SOLAR ATTIC FAN AND 8 ZONE SPRINKLER SYSTEM ( WATER FROM WELL) GREAT LAYOUT WITH DOWNSTAIRS FEATURING HUGE KITCHEN WITH WOOD CABINETS, CORIAN COUNTER TOPS, STAINLESS STEEL APPLIANCES AND CENTER ISLAND WITH A BREAKFAST BAR. KITCHEN OVERLOOKS THE FAMILY ROOM WITH WOOD BURNING FIREPLACE AND FRENCH DOORS LEADING TO THE PLAYROOM WITH A 1/2 BATHROOM. MASTER BEDROOM HAS FRENCH DOORS LEADING OUT TO THE SCREENED-IN POOL AND SPA. MASTER BATH HAS DUAL SINKS WITH GRANITE COUNTER TOP WITH A GARDEN TUB. UPSTAIRS FEATURES 2 BEDROOMS ON ONE SIDE WITH A JACK AND JILL BATHROOM AND A BEDROOM WITH BATH WHICH COULD BE CALLED A SECOND MASTER ON THE OTHER SIDE. THIS HOME IS SO UNIQUE YOU WON'T WANT TO MISS SEEING IT AND DON'T FORGET TO BRING YOUR HORSE. MAKE YOUR APPOINTMENT TODAY! !